Do you like to sample food at those big discount stores before you buy it? Or stop in the fitting room to try on clothes before you purchase a new outfit? What if you could do the same for travel? Well, we’re making it happen with the new KAYAK VR. As a leader in bringing AI technology to the travel industry, KAYAK VR is a virtual-reality platform that lets you test drive a city from the comfort of your own home. Currently available for Daydream on Google Play, it’s our first foray into how we can bring the travel planning experience to virtual reality. Right now, Venice and Kathmandu are our first two cities, giving you an opportunity to not only see the destination firsthand, but also to learn about its landmarks through an immersive sight and sound experience. It’s one way to see these exciting cities in a whole new light, and learn more about them in the process. Plus, by pairing these beautiful sights with our travel tips and trends, we’ll help you confidently figure out if it’s the right destination for you. First, you’ll need a Google Daydream headset. Next, download the KAYAK VR app to your Daydream. Once you’re in the app, you can select which virtual destination to explore and use your trackpad to navigate around the city. Our audio narrator can tell you about dozens of landmarks and hotels. Or you can simply immerse yourself in the sights and sounds of the city with realistic stereophonic sound (that adapts to your head position). Let yourself take in those 360° scenes so you can explore the terrain before committing to book a flight. But, let’s get this straight. KAYAK VR is just a research tool that lets you try a city on for size before booking. Because nothing beats actually touching down in a new city and experiencing it for yourself. For that, we search hundreds of sites at once to make sure you have the information you need to confidently plan and book your trip. How does 1 person visit 52 places in a year? With KAYAK. 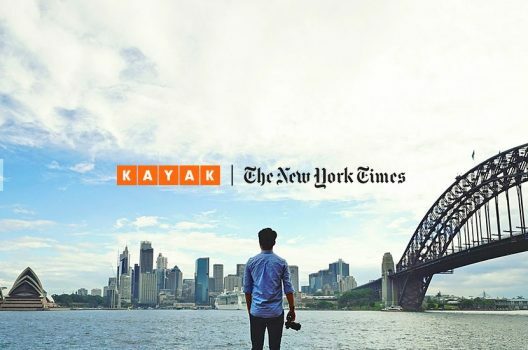 The New York Times is sending one traveler to all of their 52 Places to Visit in just one year, and they turned to us to help plan this epic trip. 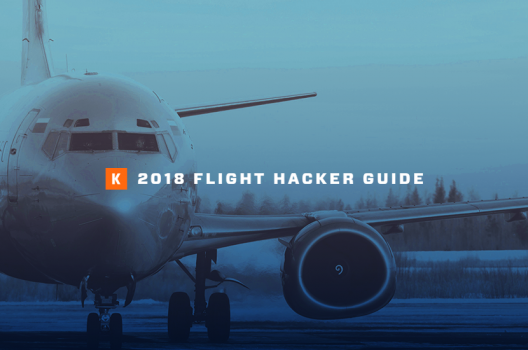 Our 2018 Flight Hacker Guide features the best airlines of the year, top stopover cities, when to book a Hacker Fare and more. Find the information you need so you can confidently book your next flight.